Facebook advertising can be expensive. There’s no arguing that. Even if you do it well and your campaigns are putting you in the positive, Facebook campaigns cost money and they can drain your ad budget quickly. 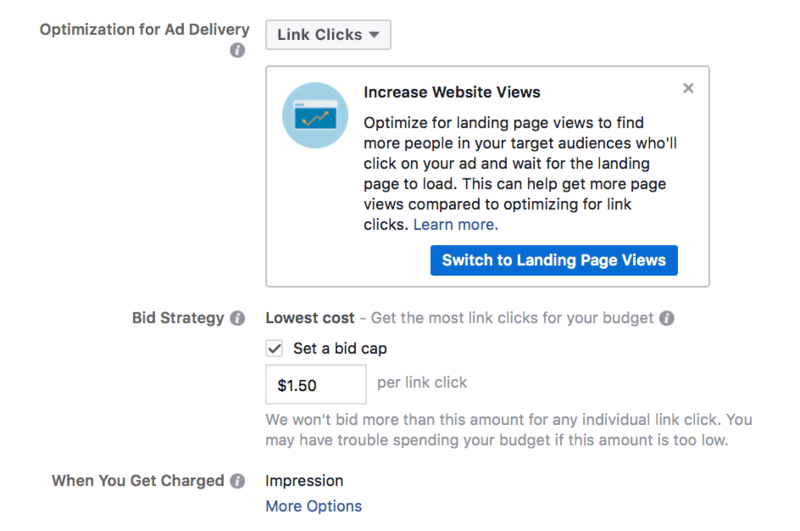 As it turns out, good Facebook ad optimization doesn’t just help you get more clicks and conversions—it helps you get the most out of your ad spend, too. Fortunately, there are a number of ways to optimize your Facebook Ads to get more clicks, more conversions and more for your ad dollar. We’re going to teach you six of our best-performing Facebook ad optimization strategies. By implementing them at the right time, you’ll be able to create hyper-targeted ad campaigns that with stronger performance. 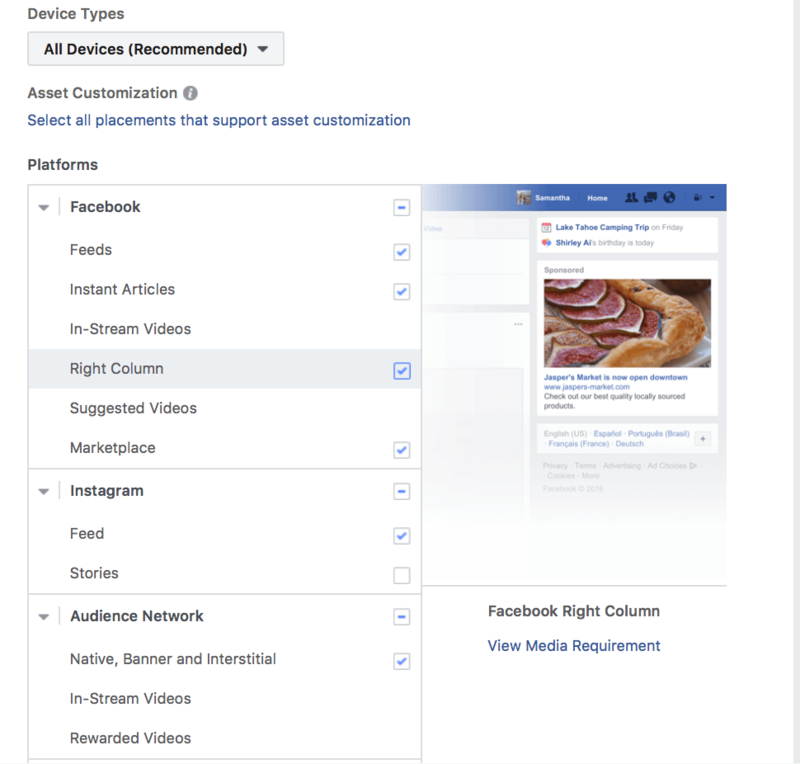 When you’re creating your ads on Facebook, all placements are automatically enabled. All of them, except for Story Ads (which require their own ad campaign). While this is definitely convenient, it can hurt your ad results. It’s better to create entirely separate campaigns for both Newsfeed Ads and right column ads if you decide to run the latter. Stylistically, they’re completely different and they almost serve different functions. Text is significantly more limited in right column ads. You also have more limited creative options, like no CTAs or video ads. Easily one of the biggest mistakes I see with right column ads is ads with copy that’s too long and gets cut off. As shown in the example below, this significantly reduces the effectiveness of the ad. The ad doesn’t look quite as professional or credible, and the messaging is cut short. 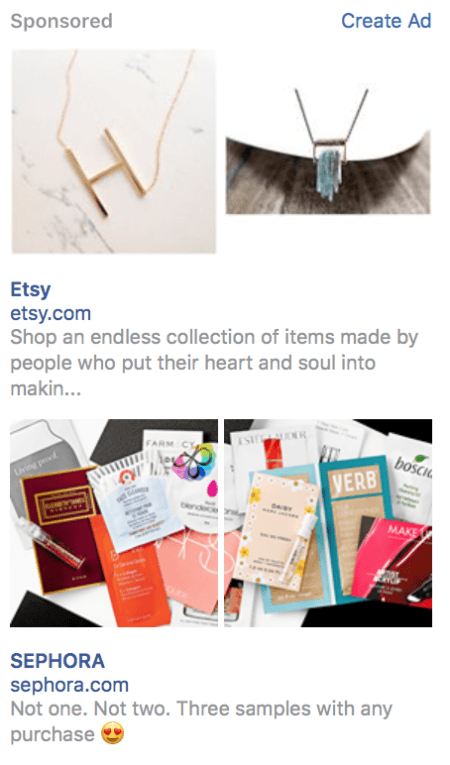 The ad from Sephora looks much stronger than the ad from Etsy because of this. If you want to enable other placements in addition to the Newsfeed ads, that’s fine, but definitely disable right column ads and run them separately in their own campaign. Your ad spend will often be more effective as a result. Did you know that desktop users are significantly more likely to purchase than mobile users? Factors like ease of use and a quicker ability to do more research on third-party sites give desktop a 3% conversion rate while mobile only has a 1% conversion rate. Have you tried entering in a credit card on your cell phone and then realized that the third number was wrong? Yeah, I don’t want to do that, either. Because of this, keeping some mobile and desktop ads separate can benefit your ad budget. Notice that I say “some.” By that, I really mean ads that are designed to drive immediate sales right now. Think ads showing offering discounts and free shipping to get sales as soon as possible. Spend more money running these ad campaigns with desktop users instead of mobile users. This doesn’t mean to never use mobile, because the opposite is true. Mobile users are incredibly engaged. They’ll watch videos, click to learn more about your site, and happily shoot you a message to learn more. As a result, ads with goals like brand awareness or lead generation do exceptionally well on mobile. Just put more ad money towards desktop placements for conversion-focused ads instead. Custom audiences are excellent, but sometimes you need to target cold traffic. When you do this, it’s still a good idea to use audience segmentation and buyer personas if possible so that you can make your ads as relevant to the audience viewing them as possible. Behaviors are a great Facebook ad optimization to use in this situation, especially when you’re able to target based on big qualifying factors. Income level is a great example. I’ve seen first hand that income level does not always correlate with spending, but there’s no denying that someone with a six figure income could more easily afford a $60 bottle of shampoo than someone making $20,000 a year. Showcase your premium, more expensive products to audiences at a higher income level if they’ll be the ones most likely to afford them. You can also use audience segmentation based on pain points. If Dyson were selling a vacuum, for example, pet owners would be more interested in an ad showing a vacuum that can get the dog hair out of the couch cushions. Parents of toddlers would want to see the cheerio dust and pretzel crumbs being sucked up off of that gorgeous rug. You can find both of these categories of people under the behaviors tab, so use that to your advantage. If you can optimize your ads by making them more relevant to your target audience, you’ll be in good standing. Have you noticed that your cost-per-click (CPC) is creeping up higher than what you can afford to spend? You can actually stop this from happening with manual bidding so that you can keep your ROI positive. Under the budgeting and scheduling section in the ad set level of ad creation, you’ll see “Optimization for Ad Delivery.” Here, you can decide what you want to optimize for. You can choose from things like link clicks, engagement, or impressions. Underneath this, you can decide exactly what you’re willing to spend for each action by enabling and then setting a bid cap. This Facebook ad optimization will allow you to decide the absolute maximum you’re willing to spend on a single action. If you set a bid cap, there’s no more averaging—it’s exact. Remember that setting a bid cap can reduce the placements that you get. That being said, if you can’t afford a CPC above $1 without losing money, this is not necessarily a bad thing. This Facebook ad optimization strategy won’t be applicable to all—or even most—ad campaigns, but it will work exceptionally well for some. Careful scheduling can help you optimize your campaigns by showing your ads during peak times that users are most likely to click. 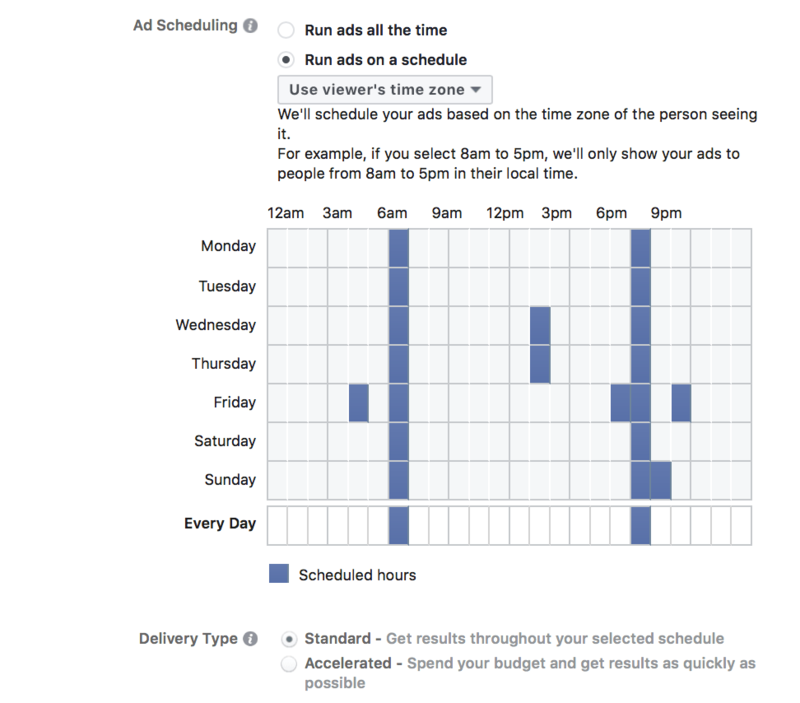 This is called “dayparting” and it lets you choose the exact days and times you want your ads to run. If you notice that your audience will engage with your ad during the day but is only likely to actually convert at night, for example, it might benefit you to schedule your campaigns to only run in the evenings. Not sure if dayparting is for you? 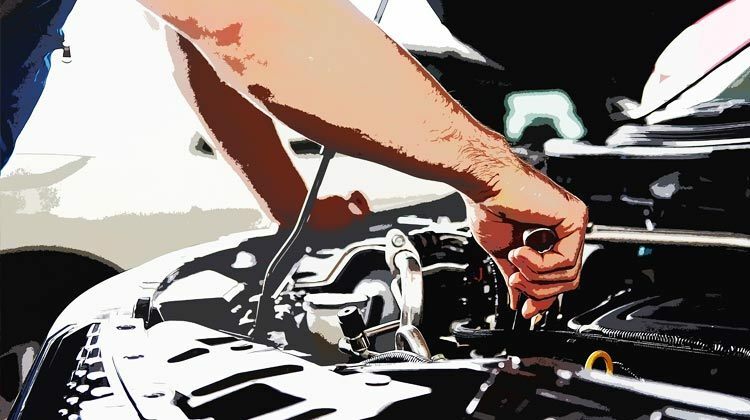 We’ve got a full post here about the practice and when to use it. A/B testing is one of the most effective Facebook ad optimization options out there. There’s no other true way, after all, to know what your audience will respond to without checking and finding out. Carefully track these campaigns and see which ones are working for you and which aren’t. Sometimes, these results will be drastic. I had one campaign that had the same messaging and same audience, but by switching it from a single image ad to a carousel image ad, we saw CPC go down by almost $1 and clicks double. These aren’t small results that will only save us pennies—we literally got several hundred more clicks for the same budget. There’s no denying that Facebook ad optimization can take some extra time and it can even take a little extra ad spend while you try out different strategies to see what works best for your audience. In the long run, though, careful management and optimization strategies will help you increase the return on investment in your ads, making sure you’re getting more bang for your buck and never overspending. By the way, if you’d like some help with Facebook ad optimization, let me know here or in the comments. I’d love to help! What do you think? How do you optimize your Facebook Ads? Which Facebook ad optimization strategies do you use? Leave your thoughts and questions in the comments below!